So, you’ve heard about the StrengthsFinder 2.0 book, or the online Clifton StrengthsFinder assessment, and now you’re ready to grow forward and discover your top five strengths. You’re at the right place, at the right time, for an exciting personal discovery! Are you ready to grow stronger, work smarter, and live richer? I’m ready to help you get there! Please allow 1-8 hours to receive your code. You will also receive an invitation to take the FREE Breakthrough with Strengths Online Course. For expedited orders call 903.819.0301. *All orders are delivered through email (check spam filter) and are final. Do you find yourself asking: Who am I? What’s unique about me? How do I engage myself deeper to become amazing at what I do? Many people are where you are; asking the same questions. The answers are waiting for you, and I want to help you on this exciting personal discovery. The first step is through the CliftonStrengths ​test. It’s more than an assessment. It’s a way of life that gives you a language to live and communicate your strengths instead of focusing on your weaknesses. Shifting your focus onto your strengths can lead to professional and personal breakthroughs you’ve only started to imagine. When you purchase a CliftonStrengths access code, you get more than just your assessment results. Are you ready to take the next step to achieve your professional and personal goals and maximize your Strengths? Schedule a FREE @sk Brent Anything call to ask any questions about learning, loving and living your strengths! If you’re looking to grow stronger, work smarter, & live richer, have the courage to hire a coach. As one of the most recognized Gallup Certified Strengths Coaches in the nation, I’m here to help you on this journey to your own breakthrough, please give me a call today at 903.819.0301 and let’s talk. Keynotes, quarterly, full day, 1/2 day workshops & web based presentations to inspire your people. Plan your next event with Brent here. 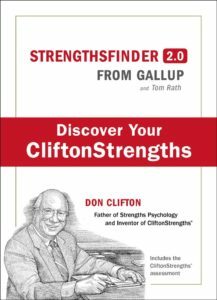 *Gallup®, StrengthsFinder®, Clifton StrengthsFinderTM, CliftonStrengths, and each of the 34 CliftonStrengthsFinder theme names are trademarks of The Gallup Organization. All other trademarks are the property of their respective owners.